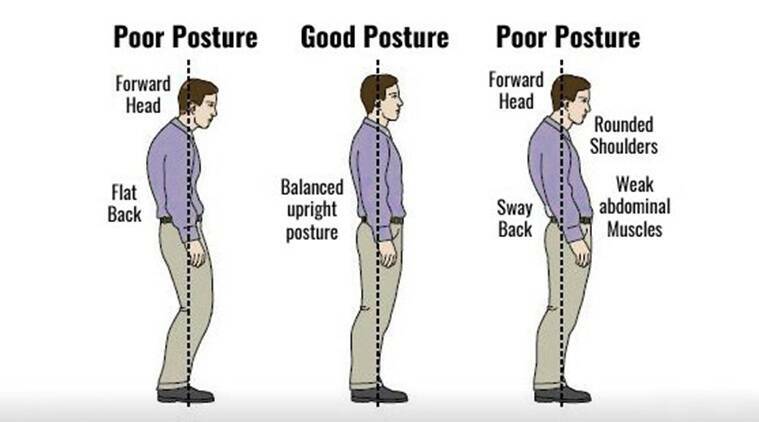 Our posture is a reflection of the “position” of the musculoskeletal structure (in lay man’s terms, the way we stand, sit or walk) of our body as it is held upright against gravity. A good posture means your bones are properly aligned and your muscles, joints and ligaments can work as nature intended. It means your vital organs are in the right position and can function at peak efficiency. A good posture helps contribute to the normal functioning of the nervous system. But, what is a poor posture? Visible signs of poor posture in people who slouch include tilting the head forward, rounding the upper back and arching the lower back. These positions exaggerate the spine’s natural curves. 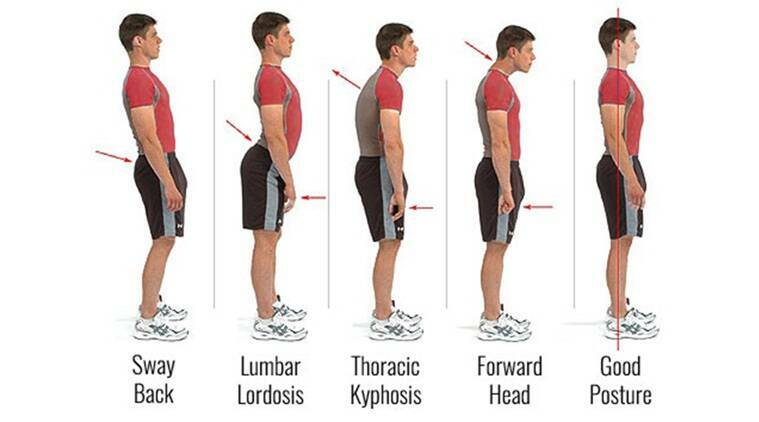 The opposite type of bad posture results in a posture that is is too upright. What are the signs of a poor posture? Fatigue — your muscles have to work hard just to hold you up if you have a poor posture. You waste energy just moving, which leaves you without the extra energy you need to go about your day in an energetically. Tight, achy muscles in the neck, back, arms and legs — by this stage, there may be a change in your muscles and ligaments and you may have a stiff, tight painful feeling. More than 80 per cent of the neck and back problems are the result of tight, achy muscles brought on by years of bad posture. Joint stiffness and pain — at risk for “wear and tear” arthritis, or what is termed degenerative osteoarthritis. Poor posture and limited mobility increase the likelihood of this condition in later years. 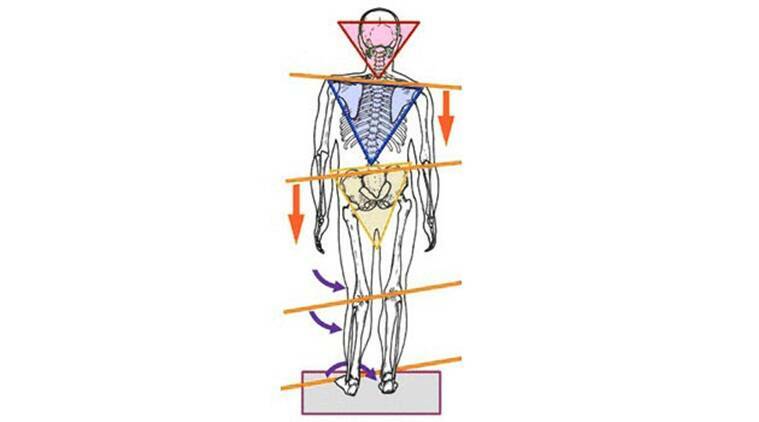 So, how can you perform a self-assessment of your posture, and whether it’s correct or not? There are a couple of things that you can do. * When standing — hold your head high, chin firmly forward, shoulders back, chest out, and stomach tucked in to increase your balance. If you are someone who stands all day, rest one foot on a stool or take breaks to get off your feet for a while. * When sitting — use a chair with firm low-back support. Keep the desk or table-top elbow high, adjust the chair or use a footrest to keep pressure off the back of the legs, and keep your knees a little higher than your hips. Get up and stretch frequently — every hour if you sit for long periods of time. Do not sit on a fat wallet; it can cause hip imbalance. * When working on a computer — take a 1-2 minute task break every 20 minutes when you work at a computer screen. Keep the screen 15 degrees below eye level. Place reference materials on a copy stand even with and close to the terminal. * When sitting in the car — adjust the seat forward so your knees are higher than your hips. Put a small pillow or cushion in the small of your back. * When sleeping — sleep on your side, with your knees bent and head supported by a pillow, to make your head level with your spine. Or, sleep on your back, avoiding thick pillows under your head. Use a small pillow under your neck instead. Don’t sleep on your stomach. * When lifting — let your legs do the work in order to prevent injury to your lower back. Stand close to the object, then where possible squat down and straddle it. Grasp the object, and slowly lift the load by straightening your legs as you stand up. Carry the object close to your body. * When bending — never twist from the waist and bend forward at the same time. To lift or reach something on the floor, bend the knees while keeping the back straight. Your posture is how the world sees you, and strengthening your posture is an intelligent habit to make you look and feel better, avoid injury, and exercise regularly to stay active and pain free. It all begins with an postural assessment with our body. Dr Vaibhav Patil is a Muscoloskeltal & Sport Physiotherapist, with prior experience with the Indian team at the 2012 Olympics. He is the co–owner of REPLAY Sports Physiotherapy. Body Basics is weekly column that will focus on everyday fitness issues.